This week’s instalment of the #SBIDinspire interior design series features an American neoclassical design concept which lays a keynote of both comfort and function, executed with grandeur and sophistication at its helm. Borrowing the traditional Chinese ideas of aesthetics depicted in the Tang Dynasty poem, ‘with lengthening daytime, the scenic landscape emanates plant aroma amid the spring breeze,’ the design adopts modern, fashionable elements to brighten the space and create the feature of squareness and beauty. The villa has a spacious and grand structure, which strives to represent the classic Western approach of axial symmetry in a 3D view, as well as a balance of size and proportion. The lifted building structure and the supporting framework deliver a sense of bold heroism exclusive to the first-generation pioneers. It can be traced back to architectural form in ancient Greece since it highlights clear lines and graceful decoration. 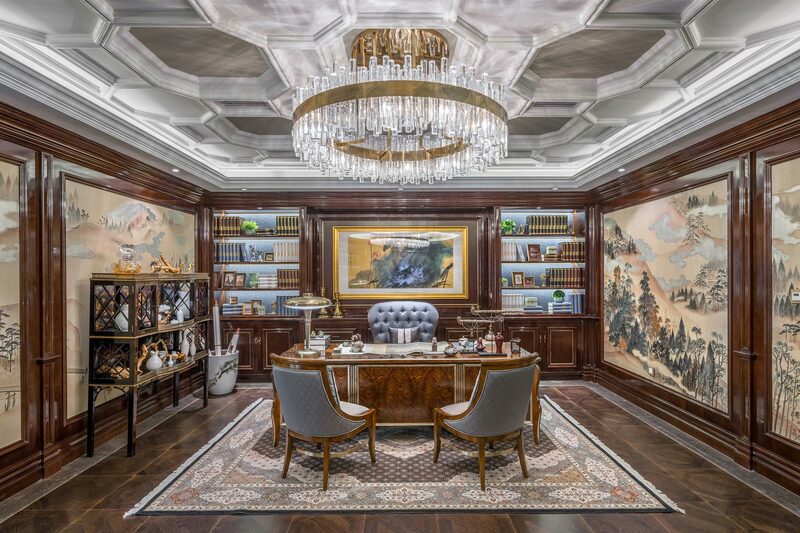 Meanwhile, it integrates the concept of European luxury and elegance, American freedom and progressiveness, and Chinese solemnity and exquisiteness – all of which showcase a fresh, smooth and bright style. The client’s belief was to build a villa which reflects an exquisite and elegant lifestyle. The inspiration came from the verses of an ancient Chinese poet named Du Fu, ‘over a beautiful scene, the sun is lingering, alive with birds and sweet with the breath of early spring’. 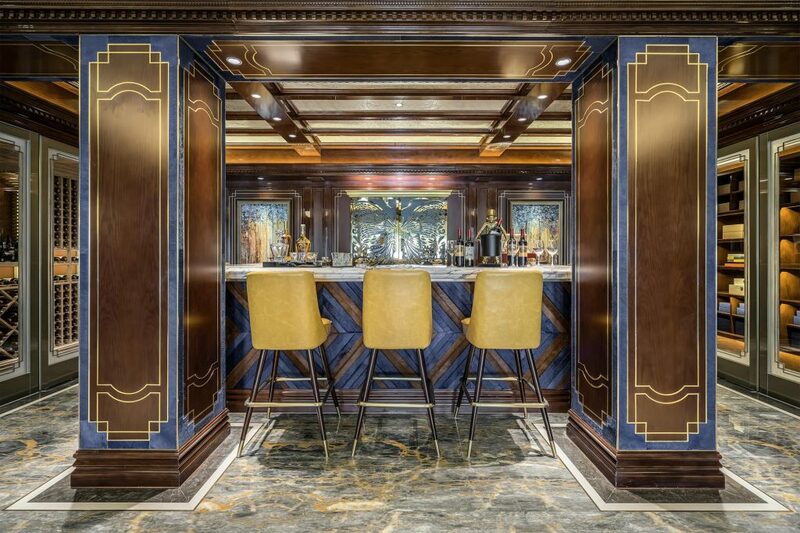 The design is based on the traditional Chinese aesthetics, combined with the neoclassical interior architectural elements. 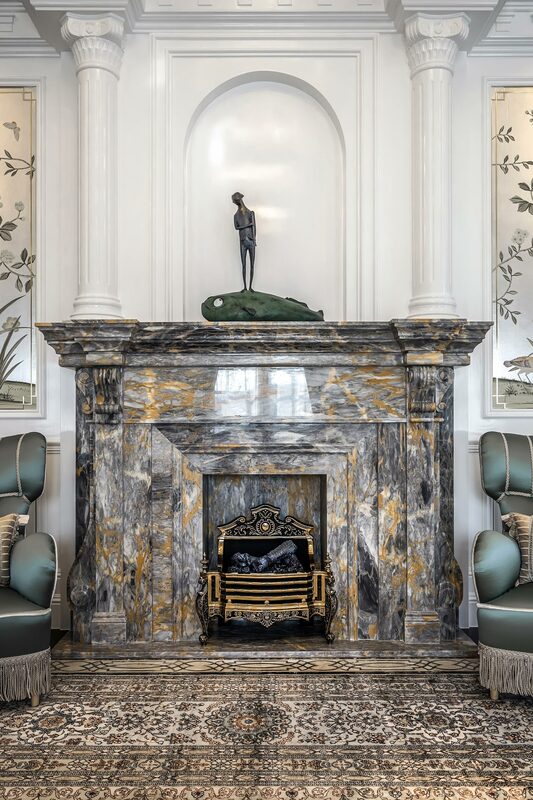 Wallpaper with hand-painted flowers and birds and modern oil paintings, portraying mountains and rivers, are extensively applied in several areas of the villa. Together, they translate a beautiful Chinese vision of reunion in a nice season, set off in an elegant style. At the early planning stage, the existing villa structure needed to be studied and modified thoroughly to have the floor layout optimised on the basis of the traffic circulation and flow. This includes swapping the elevator and the main staircase location, and adding a service elevator to the existing villa. Although urbane residences bayside, seaside or in the mountains are among the beloved lifestyle choice for the famous and the rich, this no longer meets the need of high-end customers. A new ‘island of residence’ lifestyle has emerged to attract the attention of these elites. 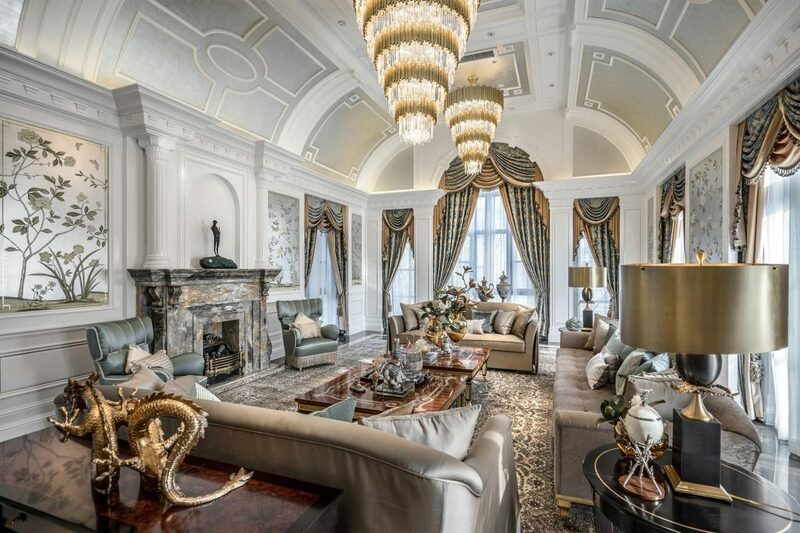 The villa surrounded by a 520,000 sqm lake in the heart of Tianjin city, with a well developed ecological environment and neoclassical architecture has become an excellent paradigm of a new lifestyle in the city. 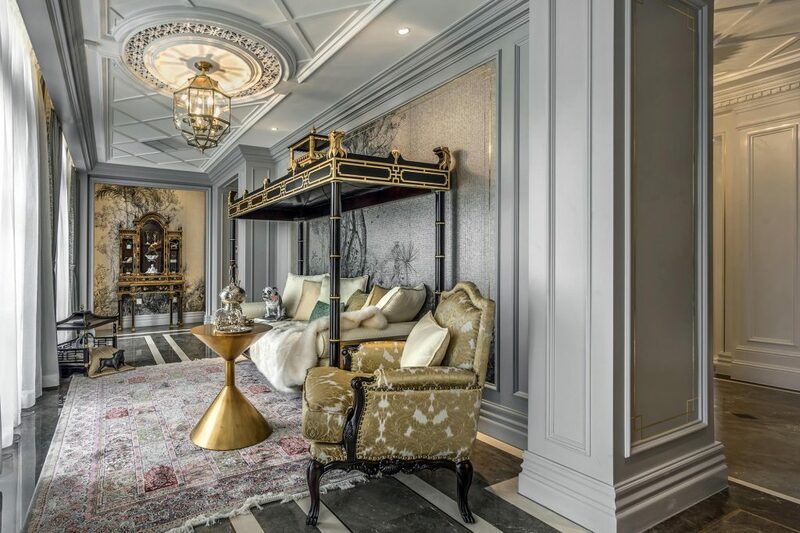 This project is the only downtown island-style villa development in northern China and one of the world’s most luxurious island-style developments. The villa is configured in a classical symmetrical layout to achieve harmony of the space. The archway and the powerful interior architectural framework convey the sense of luxury and comfort. 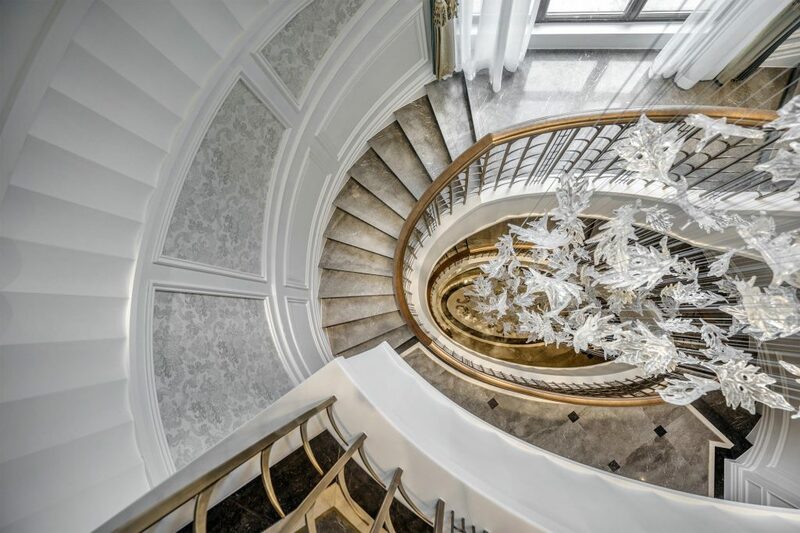 Tracing back to the Greek architecture, the design not only emphasises the application of lines and elegant details, but also displays the sense of European luxury as well as the touch of Chinese elegance and delicacy. SBID is the most competitive, prestigious, and unadulterated international award in the global interior design award field. The jury panel consists of gurus from a wide array of professions from design and fashion, to hi-tech. In addition, we love to share our design with people from different parts of the world. SBID both serves as a direct channel and an influential medium to expose our talents and creative designs to the world. The ability to be shortlisted in SBID is an honour, whereas the ability to win in SBID is a prestige. 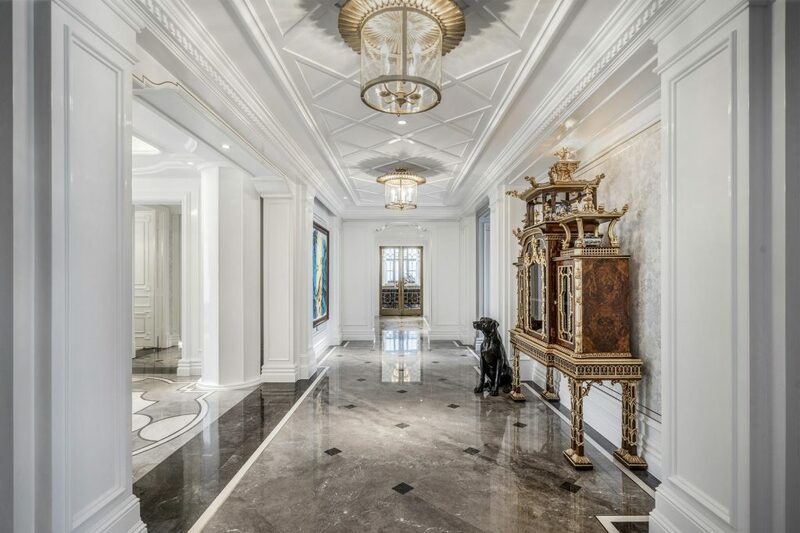 If you missed last week’s Project of the Week featuring a luxury residence which echoes the Renaissance elegance of the Château de Chambord, click here to see more.